6.5” Professional High Power Marine Component System. MA-6 6.5” "Contoured Dispersion Technology” mid-woofer is very smooth and efficient. 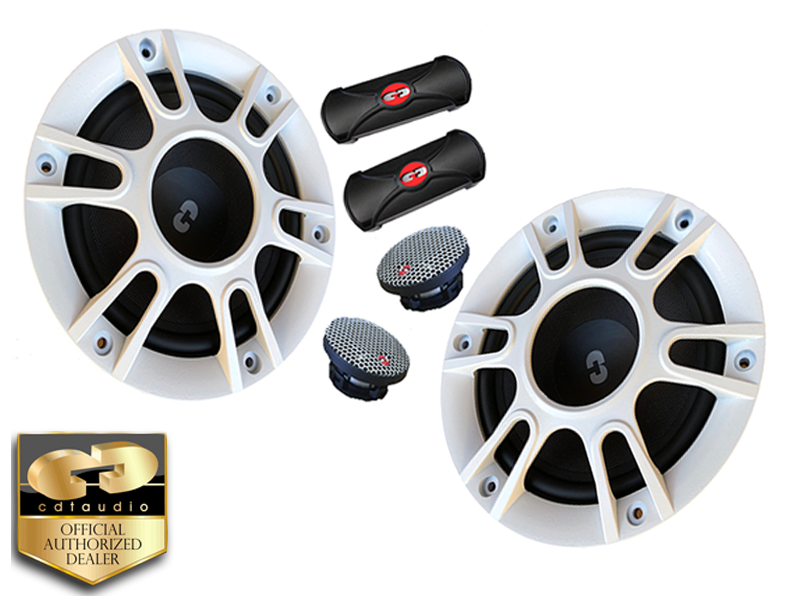 The injection molded design is the most durable 6.5” woofer in the market, it handles the toughest car audio environment, designed to handle and withstand even the toughest marine environment. There is no comparison in the market to this extremely robust 6.5” mid-woofer design. The Kevlar/fiberglass cone material is, among audiophile listeners, considered the best for sound quality. Due to it’s extreme robust design, this system carries a 10 Year limited warranty.